Epic have been teasing Season 3 (Patch 3.0.0) content for the past few days, here’s a collection of everything we know so far. Season 3 is planned to run from February 22nd to April 30th. The release will come with downtime which is expected to start early morning EST (usually 4-5AM). 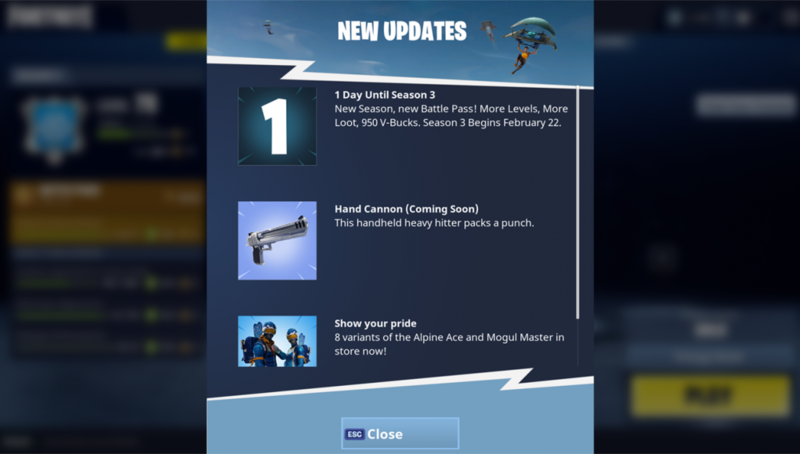 This was later confirmed to be showing off a new outfit (name currently unknown) as well as a new weapon – the Hand Cannon! 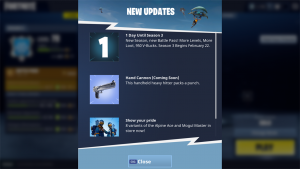 Until the Patch Notes are released tomorrow, this is everything we know about the content of Season 3 so far!